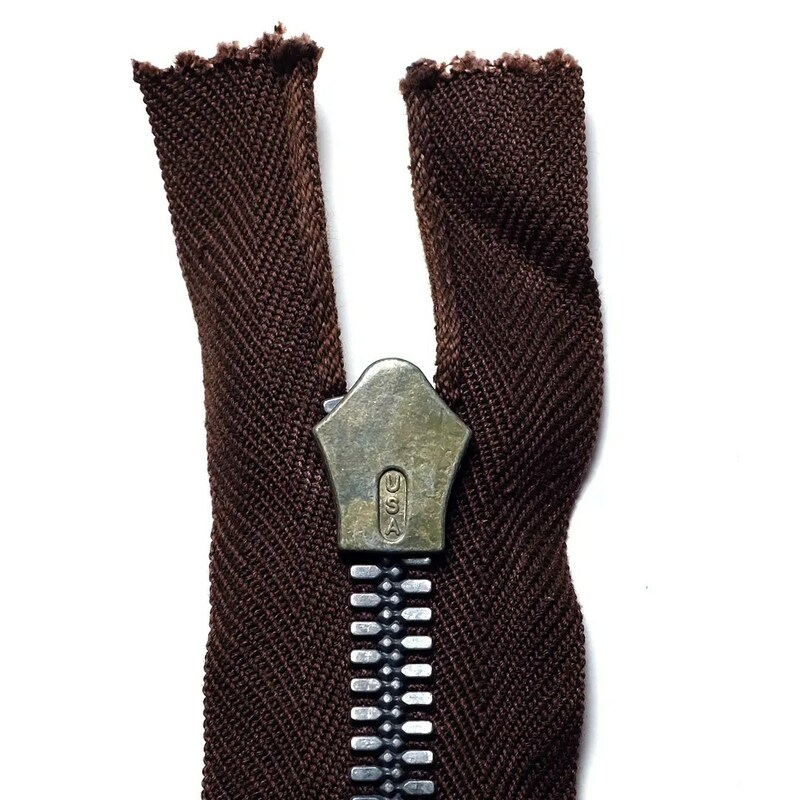 This vintage zipper was made by Crown, and features two-way teeth, developed during WWII. 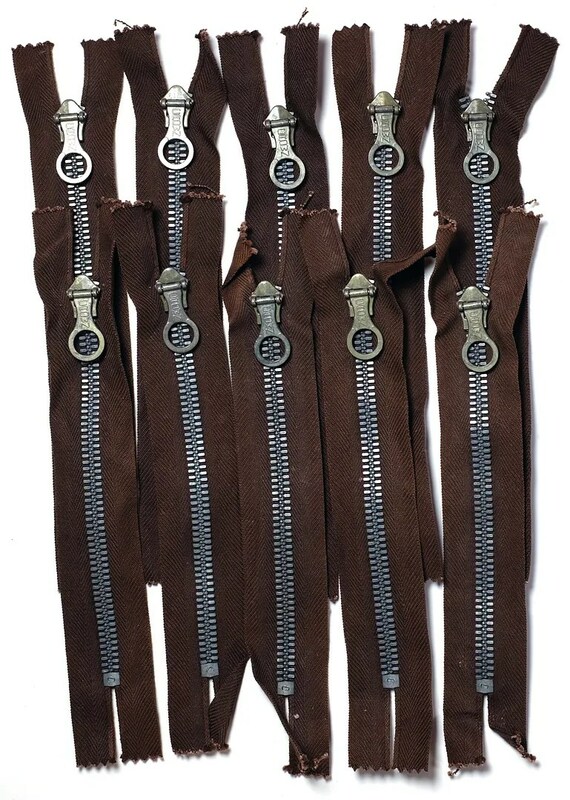 It has brown zipper tapes, and a large spring loaded pin-lock pull. They measure 7-1/2″ from stop to stop, and the tape measures 10-3/4″. 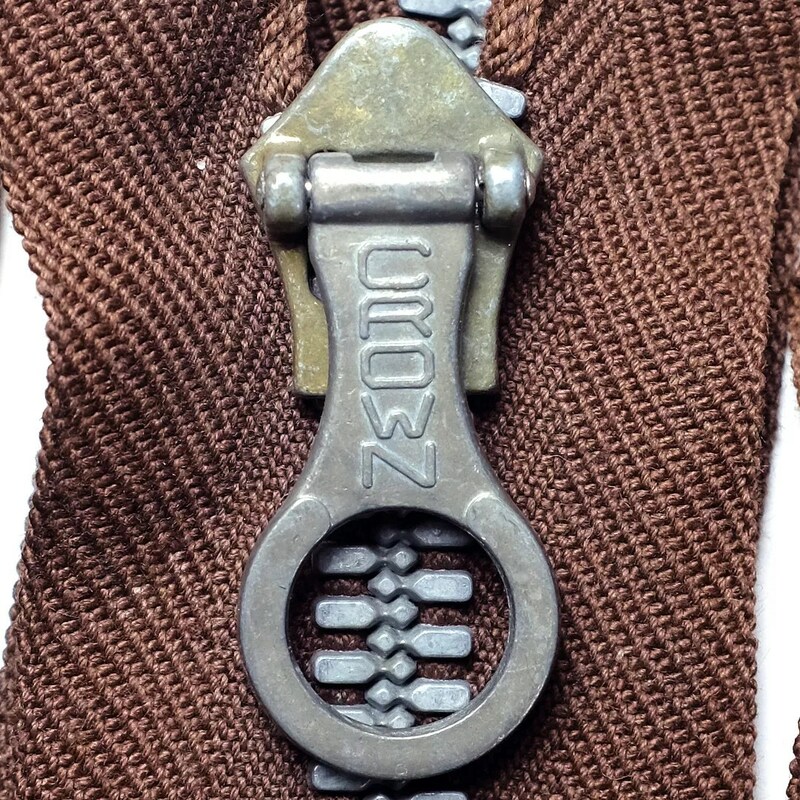 This entry was posted in Accessories and tagged 1940s, army, clothing, crown zipper, fashion, mens, military, style, two way teeth, vintage by Spencer Stewart. Bookmark the permalink.